Overturn heads into this Saturday’s International Hurdle at Cheltenham as the joint 3/1 favourite and, based on his form and the forecast, it’s easy to see why. The Donald McCain-trained horse has been in fantastic form recently and has tasted victory in the Coral Hurdle and the Fighting Fifth in which he saw off an impressive field that consisted of Binocular and Celestial Halo. The seven year-old is currently the 3/1 joint favourite along with French horse Grandouet, but it’s the Irish horse who is looking the most tempting of the favourites. The ground is currently good to firm, firm in places at Cheltenham and Clerk of the course, Simon Claisse, has been forced to water the extremely dry course. 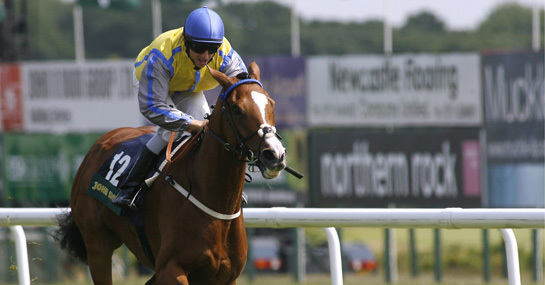 The lack of rain forecast will undoubtedly help Overturn who has been excellent over the flat and showed what he could do over quick ground with his victory over Binocular at Newcastle. The 3/1 offered for Overturn to rack up another win looks a bet well worth consideration. Last year’s winner, Menorah, shouldn’t be discounted though and he is currently 7/2 – along with the Paul Nicholls-trained Brampour. Menorah is dropping back to the hurdles after a disappointing run over the fences at Exeter that saw him unseat rider Richard Johnson. The six-year-old is without a win in 2011 but continues to look tempting following his victory last year. Meanwhile, Pittoni is next in the betting at 10/1 and Clerks Choice is out at 14/1 to spring a surprise.